“Back in December of 2010, I went into a house in Joshua Tree California to record another solo record. About 4 days into the sessions, I decided to abandon the 8 songs I was working on, told my long time friend and engineer, Tony Mason, to start rolling tape and I proceeded to play drums in my natural improv style. After multiple drum track performances were captured, I then started layering guitars, bass and percussion in the same improvisational spirit. I essentially decided to "jam" by myself for the rest of my scheduled sessions. When the recording session had finally come to an end, I put the 8 unfinished tracks on the "shelf" as well as my "solo jam session" tracks. I was much more content with the "jam" tracks as it was a creative release that was needed at that time. I decided to call the collective tracks, Jacoozzi. At the time, it reminded me of the feeling of my first solo recording sessions for my first solo release, Jalamanta... only more "free." Strip it down. 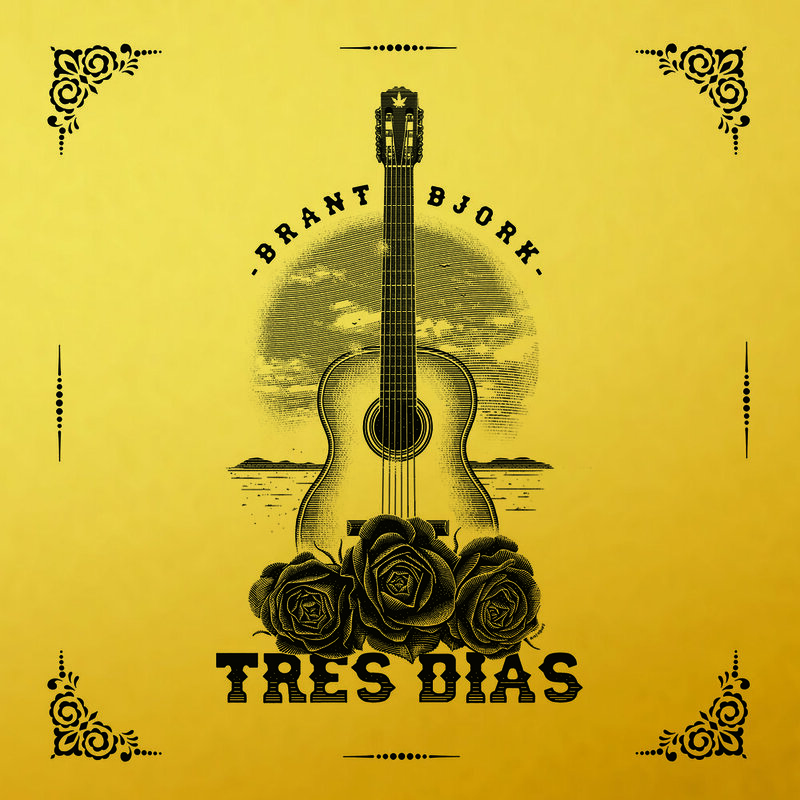 The central mission of Brant Bjork‘s 12th studio album seems to have been to get back to basics, and that means groove. There’s ultra-funk that runs deep throughout Mankind Woman, and in songs like “Chocolatize” and “Somebody,” the godfather of desert rock crafts his most intimate-sounding release in at least a decade, if not longer. It’s a collection informed by the soulful aspects of records like 1999’s mellow-heavy desert classic Jalamanta and particularly 2002’s Brant Bjork and the Operators, which was made under similar circumstances of close collaboration. In this case, Bjork worked together with guitarist Bubba DuPree (ex-Void, also of Bjork‘s backing group, The Low Desert Punk Band) to write the material and bringing in recurring guest vocalist Sean Wheeler to take lead vocal spots on side B cuts “Pretty Hairy” and closer “Nation of Indica,” former Kyuss/Vista Chino bandmate Nick Oliveri and Armand Secco Sabal (who’s toured with Al di Meola) for bass spots. The result is an 11-track/38-minute easy-flowing LP that discards much of the aggressive edge of 2014’s Black Power Flower and 2016’s Tao of the Devil — Bjork‘s two studio full-lengths through Napalm Records, which also issued the live outing, Europe ’16, last year — in favor of material that is smoother and more laid back. Sure, the title-track sleeks its way into a Deep Purple (sans organ) boogie in its second half and the fittingly-enough centerpiece “Swagger and Sway” has some element of challenge in the lyrics, “Try to do something about it/I dare you,” but the prevailing vibe on Mankind Woman is more indebted to classic soul and R&B, melded of course with the signature desert rock style that Bjork has made his own over the better part of the last 20 years. Cuts like the shuffling “Lazy Wizards” and “Pisces” early in the tracklisting are straightforward in their style — the latter with a particularly resonant hook — and follow the opener “Chocolatize” in finding a place where something can be heavy and soothing at the same time, empty of pretense but more than a simple run through the motions of Bjork‘s modus. As Bjork leaves Napalm behind for Italian imprint Heavy Psych Sounds, it’s easy to read Mankind Woman as the beginning of a new era for his work, and if that’s the case, then so be it. Even Wheeler brings the soul to “Pretty Hairy,” as opposed to the sort of punker spoken declarations of “Nation of Indica” and while funk is ever-present in Bjork‘s style, to hear him directly engage it as he does on “Chocolatize,” “Mankind Woman” itself and “Somebody” is a refreshing readjustment of the balance. It’s the ultimate cliché to say an opener ‘sets the tone’ for the rest of the album, but the chorus, “It’s time to chocolatize our thing/Right on,” seems to be as much a statement of purpose for the collection as a whole as it is a standout hook on its own, and Mankind Woman indeed remains affected by its energy and deceptively complex arrangement of layers. B-funk? D-funk (for desert)? Either way, as “Lazy Wizards” subsequently unfolds its righteously subdued groove, the impression of “Chocolatize” before it holds firm and makes an underpinning for just about everything that follows, even as “Charlie Gin” dips into garage rock, the later “Brand New Old Times” seems to take on no-frills early-Beatles-gone-fuzz-R&B hookmaking, and the penultimate “1968” unfurls itself with an uptempo swing that would’ve been at home on a second Vista Chino effort, with Bjork himself donning the John Garcia mantle in his vocal approach. Mankind Woman brings no shortage of sonic variety in moving from track to track, but it’s the overarching fluidity that makes it work so well as a front-to-back listen, the steady flow of the production (helmed by Dupree as well as Yosef Sanborn, who engineered and mixed) helping to unite individualized pieces across the whole work in classic-album form. Not that a record with a song called “1968” on it is exactly missing ties to that era that saw the birth of heavy in rock and roll, but clearly Mankind Woman is speaking to that moment in more than just that one especially upfront manner. And no complaints for that. With the exception of “Brand New Old Times” — which is the shortest cut included at 2:04 — the songs are by and large longer on side B, with “Somebody” and “Nation of Indica” tapping into the kind of jammy feel that populated some of the longer-form material on other recent long-players, but is quicker in doing so, speaking to the general reining in that seems to be happening throughout Mankind Woman as Bjork effectively resets his methodology. Likely some of it is writing alongside DuPree, but even if Bjork‘s doing so is a one-off rather than indicative of a new direction to be developed over future works, then the point still stands. Clearly it was time for something different coming off Tao of the Devil, and that’s manifest in these tracks whatever familiar elements they might otherwise contain. For longtime Brant Bjork fans, Mankind Woman should feel like a gift. It taps into a spirit that fell by the wayside as Bjork embraced wider-scale touring — that said, he’s hitting Europe again to support this release — and a more full-band approach, and it does so without moving backwards creatively. It refuses to compromise its soul or dull-down its funkified roll, and it shows Bjork squarely in command of his style, songwriting and performance. Actually, I take that back. There’s nothing square about it. Brant Bjork‘s legacy doesn’t — or shouldn’t — need to be recounted. From his days drumming and writing in Kyuss to joining Fu Manchu, to the one-off with Ché en route to establishing himself as a solo artist and releasing albums of diverse sound and consistent quality, he’s been nothing short of essential to the process of shaping desert rock into the multinational phenomenon it is today. Mankind Woman is true to this pedigree, but like each of Bjork‘s offerings, it has a personality unto itself and speaks to the ongoing creative growth of an absolute master of the form. Hearing it is only going to make your day better.